With Live Stream, you can reach outside the physical event, and connect with your Community of Interest. Reaching people, where they are Now, that's on digital devices - Smartphones, Tablets, Laptops. Bringing Live Stream to your event, telling your event story, engaging, connecting, informing, entertaining, and growing your Audience. Using the latest Technology, we offer Multi Camera coverage, Live Stream, and Recording, with Post Production options. This delivers the best possible Live Stream experience for an engaged Real Time audience. Post Production options include re- edits/packaging/ hi-lights - all of which allow re-tasking of your content. Perhaps you don't require a Multi Camera set up? Scenarios such as basic Press Conference, Solo Music Performance, Small Venue, or where you would like to evaluate Live Stream, at an affordable price point. We can still offer 4k Capture of the Live Stream Broadcast, for Post production. A very powerful combination of Audio, and Audio-Visual Broadcasting. Engage, Inform, Entertain your Audience Pre, During, and Post Event. 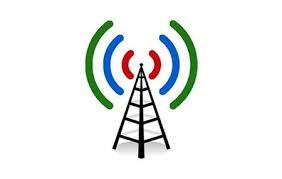 You can even have your own Branded Channel in the Smartphone Radio app., with access to all your Brand Social Media.